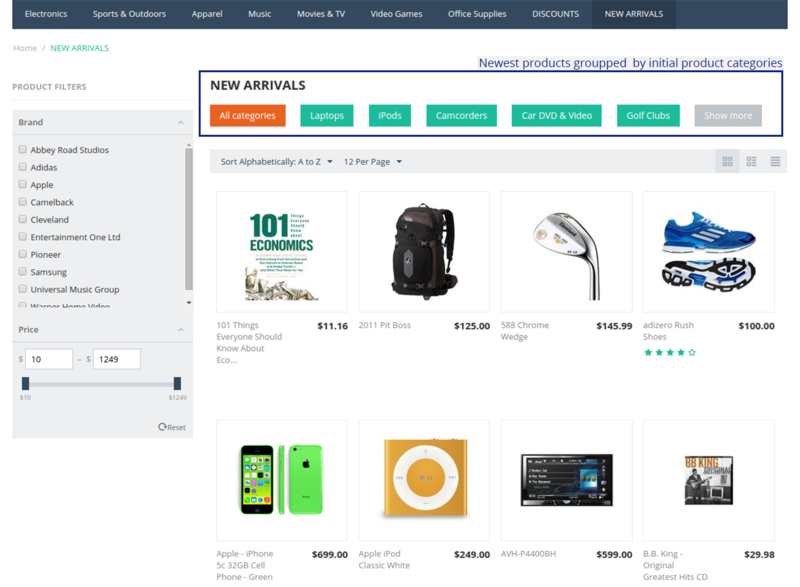 For those, who don't like creating separates menu items and pages for new products, we develop the New Arrivals Page add-on. It automatically adds all new products to the special category and removes them when the specific period of time has passed. On the New Arrivals Page you can group products by brands or initial product categories. 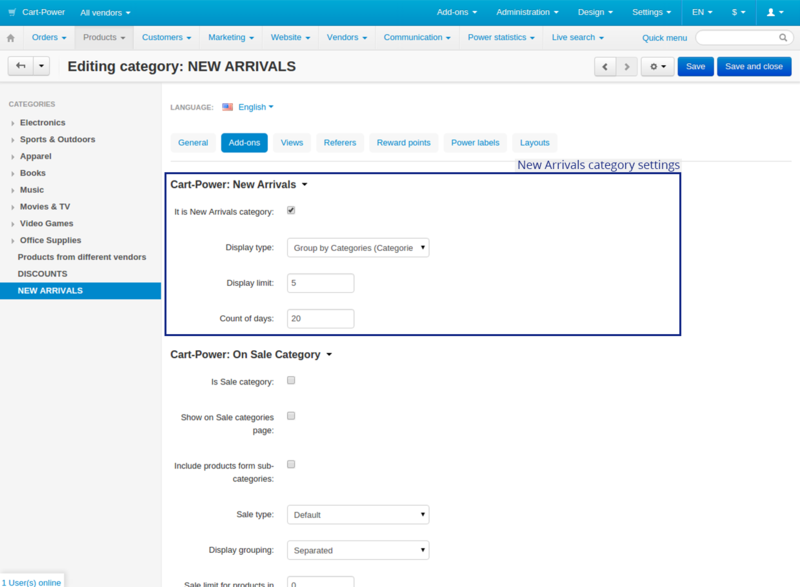 In the category settings you also can choose how many products will be displayed in the New arrivals category. There is one more add-on with such kind of functionality - the Discounted Products Page add-on. Displays newly created products in one category. Adds new products with one click. 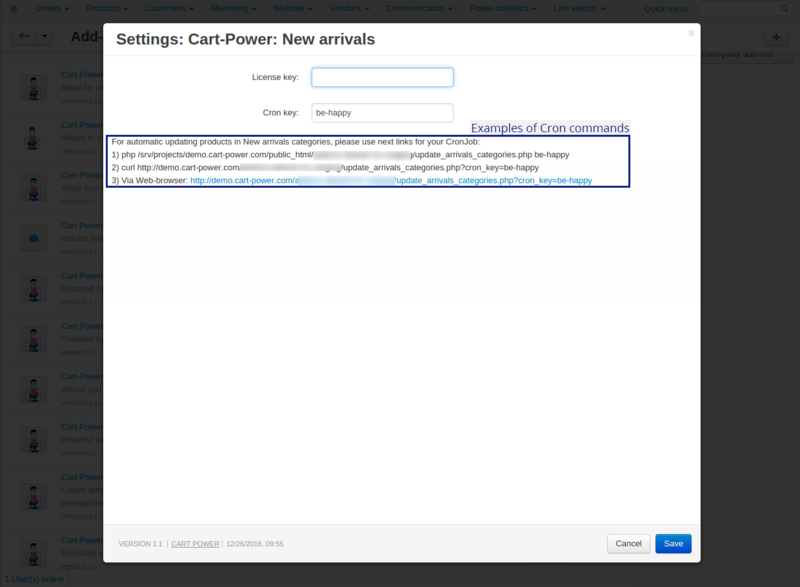 Includes automatical update of the new products list via Cron command. Groups products in the category by brand or initial product category. 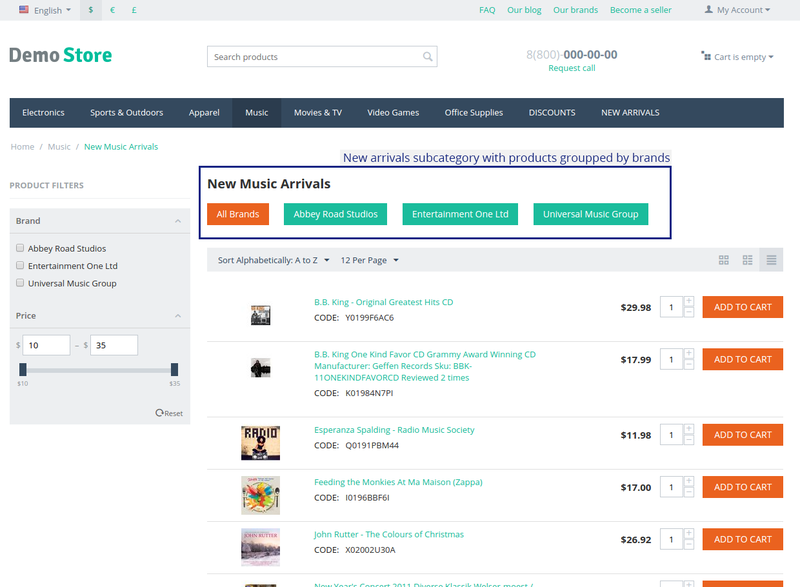 Allows using the existing category as the New Arrivals page category. Restricts the number of new products in the category. Restricts the number of days since product creation to display the product in the New Arrivals.